Even if you have some knowledge when it comes to your septic system, any sitework that needs to be done should be left up to the trained professionals. Whenever you know that you need septic system sitework in Island County, hiring the experts will be the best way for you to know you will get quality results. You can think of septic system sitework as anything that needs to be done to create or repair the framework of your septic system. When you are looking for grading, excavation, and any construction work for your septic tank or drain field, this is sitework that should be handled by the professionals in the field. Not only do they have the knowledge and experience for this type of work, but you will also find that they usually come with all of the heavy equipment to get the job done safely and effectively. Sitework done on your property should always have a good design and a strong framework or foundation. Many homeowners who have chosen less-experienced contractors will tell you that they ended up having major issues with their septic systems in the long run. To avoid this, you can do your research and hire the right team of professionals to get this done for you from the beginning. Schleg Valley Construction has the training, experience, and manpower to tackle whatever sitework you require. Whether you are looking for a new septic install at your new home construction site or you have to replace your drain field, we will be happy to come out to give you an estimate. We also have all of our own excavation equipment so that we can get started when you need us. 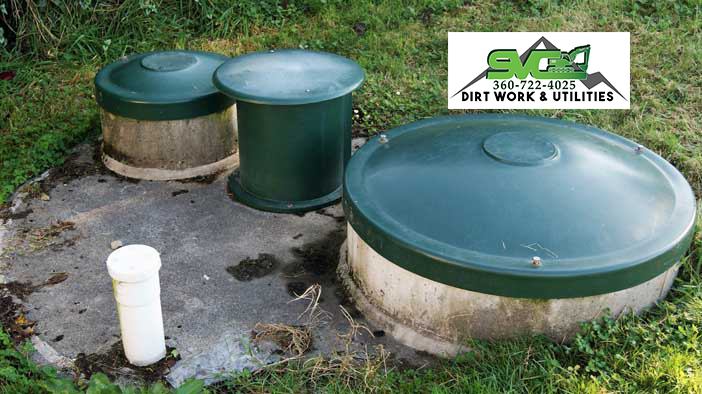 Septic system sitework in Island County should only be handled by trained professionals. Call Schleg Valley Construction today at (425) 312-6750 for a quote.